At the end of March, I presented at the Derbyshire LA ICT/Computing Conference. 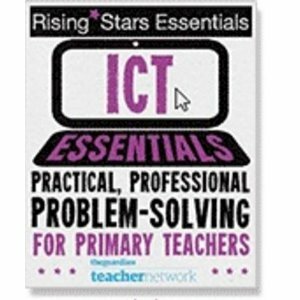 I was running a workshop on the use of ICT within Literacy lessons and I thought that I should share the links to the resources that I talked about. There are some that have been around for ages, but maybe there’s something you haven’t seen before. The general theme of the session was using ICT to improve standards in Literacy and there are lots of ways to raise standards so this is far from a definitive list, but there are a few suggestions. One thing we have been doing is giving the children something interesting to write about. This can be for the whole unit of work, but it can also be for a snippet of a lesson such as the first 10-15minutes. This is traditionally whiteboard work, but we have a writing journal that these ideas can go into as well. They can start with simple sentences and then we mess around adding verbs, adjectives, adverbs and so on. We might then use the Random name generator to select the next sentence type e.g. starting with speech or containing commas in a list. Through playing with sentences, we have been able to explore what works and what doesn’t. Although this may seem like finding the few key components to make it to Level 3 or Level 4, there is more to it than that. The children enjoy playing with sentences and developing as writers. There are loads of places to get inspiring pictures and one of these is Twitter. I blogged last year about using various Twitter accounts that share photographs and we use these to give us something to write about. This might be thinking about using our senses to describe the picture. A great place to get images from is Google Maps. Look at this image from Hengistbury Head in Dorset. Think about how the sky looks, what is causing it? The images of Whitby Abbey can also help to inspire writing too. Obviously if you can visit there, even better. But if not, use Google Maps/Earth to explore the world from your classroom. Once you have some great writing, what do you do with it? For years now many schools have been blogging and sharing their work with the world. We have had a fantastic few months at Riders and when we produce writing, we try and share it with a specific audience. We have written book reviews based around Mr Gum and Year 5 wrote instructions for surviving in space. We then tweeted or emailed these links to people we wanted to see them including Andy Stanton, the author of Mr Gum and Commander Chris Hadfield. They don’t always reply, but we have had comments on our blog from both of them. Year 6 also wrote letters to Newsround and received a reply too. Now we make sure that when we plan a unit of literacy, we also plan in the outcome. Obvious to many teachers, but making it explicit really helps the children. I have the purpose written on my Literacy wall so we know where we are going each time. This isn’t something I’ve done yet this year due to a lack of equipment in school, but last year we produced scripts and then recorded these as videos. We wrote news bulletins sharing our weekly news and we wrote scripts for assemblies and shared these with the rest of the school. Using sites like WeVideo gave us the chance to produce great quality videos, for free, in a matter of minutes. This is next on my list at Riders as we want to have a big push on Speaking and Listening. A big success last year, and the most complicated site that I shared, was Popcorn Maker. The complications come when signing up. Sometimes it takes 24hours for the confirmation email to come through and a few times the email has never arrived meaning the children weren’t able to use the service. The basic principle is to find or make a video, paste the YouTube link into the tool and then add captions, speech bubbles, pop-ups and URLs to give extra information about the video. This could be describing the action, showing where in the world it is set or simply adding dialogue via speech bubbles to a video without any speech. The final video can then be exported and shared. Feel free to look through the sites I shared and the examples of work from my class (and some from Simon Haughton’s children). I hope you find something useful.